Over the past five decades, Swami Jyotirmayananda has conducted numerous retreats at his Ashram in Miami. Swamiji, through these special retreats, offers profound and detailed analyses of the major Puranic scriptures and Upanishads. 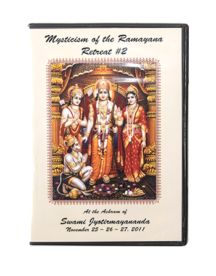 Offered on DVD video, each retreat is comprised of several individual lectures, which provide a more in-depth understanding into the teachings of Integral Yoga and Vedanta. These treasures of wisdom will serve to be an excellent edition to your media library. 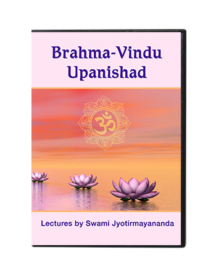 Brahma Vindu Upanishad is a minor Upanishad containing 22 Mantras. 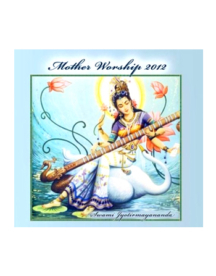 It is focused on Brahma Vidya—Knowledge of Brahman. It belongs to Atharva Veda. It is the scripture that gives the essence of Vedanta philosophy for attaining Self-realization. The epic story of the Ramayana has captivated countless aspirants since ancient times. Through this series of engaging lectures, Sri Swami Jyotirmayananda provides rare insight into the philosophical implications of the colorful narrative. Only an Enlightened Master is able to “read-between-the-lines” and offer us through his intuition the opportunity to understand in crystal-clear language, the mystical meaning of the Ramayana in the context of the spiritual evolution of the individual, hence the invaluable nature of this collection of DVDs.